After 30 Years, I Finally Went To A Barry Manilow Concert : The Record The night wasn't about kitsch for her. Writer Danyel Smith fulfilled the real dreams of her 13-year-old self when she saw the pop singer live on Broadway. Barry Manilow performing at the opening night of his show Manilow On Broadway in January. At the St. James Theater — the velvet place where Oklahoma! first came sweeping down the plains in 1943 — we get glow sticks with our programs. I haven't had a glow stick since seeing D.C. rapper Wale at New York City's Terminal 5 in 2011. Wale's galvanic show was for those 18-and-over. Kids had on plush animal-head masks and pajamas. Manilow on Broadway, on St. Valentine's, was date night for those kids' burnished elders. Certain my husband and I were the only two who'd been to both shows, we settled in with our Pringles and our peppermints, and geared up for my dream to come true. The night wasn't about kitsch for me. I wasn't in it for the probable camp. I'd done my hair as carefully as any of the other ladies from Long Island and Westchester and Jersey. I'd been thinking of seeing Barry Manilow, live in concert, for over 30 years. I was that kid — molded in conditions split unequally between paternal fascism and maternal quiescence — who made a fetish of not just free will, but of the future. I didn't want to die or "to die" from my unhappiness. I wanted to get to legal adulthood. I wanted my freedom. In 1978, I was living through Manilow's new "Ready To Take A Chance Again," from the soundtrack to Chevy Chase and Goldie Hawn's Foul Play, which I had not and have never seen. I was at a good public school in Los Angeles, where I hung with the Shores and the Wunsches and the Gorens from around the way, and the Dianitas and the Candaces and the Portias bussed in from Watts. This along with the kids from my own Jewish and African-American Fairfax District neighborhood, which was just south of what was then a fading retail stretch known as the Miracle Mile. We were a mile or two from the wealthy subdivision of Hancock Park, before it seemed like all the kids from Hancock went to private school. At John Burroughs Junior High, we mostly mixed. But we also segregated ourselves. The black kids thumped Heatwave and Chic. White kids bumped Lynyrd Skynyrd and Kansas. But in Band class, the talk centered on Queen, Earth, Wind & Fire, Donna Summer and Barry Manilow. My junior high was weird: Lou Rawls' son was at our school. Booker T. Jones' son was there. One of the Neiman-Marcus Marcuses. Governor Jerry Brown's niece. Our band teacher was a road and studio musician for EWF. I've little recollection of one Pope dying, and another rising to power. I have only vague memories of Camp David and people striving for "peace." I had my own peaces to negotiate. Had flute to practice. Had Manilow to listen to. I thought Barry Manilow was not only singing truth to power, but was proving that life would be, eventually, my own. He was going to have a sweet life. And he didn't have to be cute — he was the awkward and undisputed truth of my tween emotions. Of course I wrote out, and memorized all the lyrics to Sugar Hill Gang's 1979 "Rapper's Delight." And I swore by Right On! magazine, where the Jackson brothers ruled. But Manilow was, for three or four intense years, my mindset. I liked pop and didn't know to call it that. Liked pop and didn't know that me liking it is what in fact made it popular. I didn't know to articulate anything about pop phrasings, straightforward melodies and the crisp, bold enunciations that with some luck and a promo budget meant millions would request a song at radio, meant millions would purchase singles and albums and T-shirts and lunchboxes, would contribute to the radio/sales/tour/merchandise quadruped that, until the internet and "views" and "free," meant a song could gallop to the top, and be, in ways that are more elusive now, a really big show. An artist could reach the kind of places that are, as Jay-Z says, "higher than weather." I didn't know that Barry Manilow made himself as much as he was made. I didn't know he was raised by a single mother in (Williamsburg) Brooklyn. I didn't know what Brooklyn was. I was a kid. I cared about volume. And the tears that flowed as (in Band) we went for the crescendo. From the radio I wanted to hear the big chords, the big drums, the big horns. I didn't know there was a such a thing as being manipulated by the right pauses — I liked Clive Davis' ear and Clive Davis' work and I didn't know yet who Clive Davis was. Michael Jackson was a world apart, a king, but my regular high school favorites were Prince and Rick James, and by the time I hit college, aside from Run-DMC, Sade and Luther Vandross, I was about Whitney Houston, who in 1978 was singing backup disco for the Michael Zager Band. This was seven years before Davis would re-apply what he'd learned making hit after hit with Manilow to the woman who would become one of the most loved and bestselling artists of all time. Listen to Manilow ballads, then listen to Houston ballads. Check, as we used to say in hip-hop, the technique. If it wasn't broke Davis saw little need to fix it. The songs Davis made with Manilow and Houston are the songs I loved. Besides, what other way had I to judge? My mother, after all, had to tell me when I was 13 who Booker T. Jones Jr.'s dad was. I thought like I used to think about all songs when I was young — that every artist's song was purely autobiographical, and so 100 percent meaningful. And if I categorized at all, it was based on what radio station played what. So I thought Barry was rock 'n' roll — and not rock in a "white" frame. Rock in a frame marked "real." 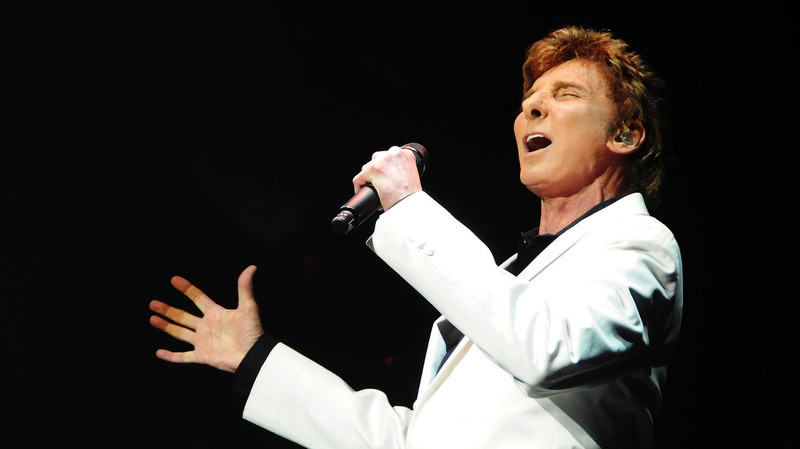 As a part of his 1978 Even Now tour, Barry Manilow did 21 sold-out nights at the Greek Theater in Los Angeles. That's what everyone was going to, and where I wanted to go. I was disappointed that I wasn't allowed. It was because there was to be no chaperone for the group attending — that was my mother's story. Nonsense. I'd been able stay at home chaperoneless since I was seven. Took public buses by myself at eight. I rode my bike to Venice Beach, 15 miles round trip, with my younger sister, at 11. I counted sheets in locked closets. I catalogued bruises — on me, on my mother. I began to recognize the tenets of sociopathy, alcoholism, the bitter power trips borne of disappointments suffered and missteps made. Plus my father figure's intense discomfort and long guilt for having been black and upper middle class in the era of segregation. He did not love anything really except his mother and my mother, and even them in ways so foul it tattooed us all. My grandmother eventually told me why I couldn't go. I was not allowed to attend the Manilow show because I'd made it known in my household that it meant a lot to me. I'd played "Daybreak" a few too many times in a row. I'd asked what was special about the "New England" Manilow sang of. It wasn't a state — so I needed clarification. I'd expressed too much fascination at the fact that the O'Jays had a song called "Brandy" that was supposedly about a dog, and Manilow had a song called "Mandy" that was maybe about a dog. The apartment I lived in during junior high school was rarely "happy," but when music was played it was the classics: Motown and Streisand. It's wild, even creepy, how we become fans of artists. But love is love. Whatever I am, Manilow sings, you taught me to be. My eyes well up every time hear the two minutes, 16 seconds that is his 1973 "I Am Your Child." They did so at the St. James. After a long break, it was in 2007 that I began listening Barry Manilow again. I was editing VIBE magazine, and was happily knee-deep in Rihanna, Gym Class Heroes, Akon and Beyoncé. I'd ended up, after all, the girl who goes to concerts for a living. And even still I avoided Barry. Ridley Scott's American Gangster was in theaters, and was ricocheting through the music industry's creative cliques because Jay-Z had created a concept album, also called American Gangster (Roc-A-Fella/Def Jam) inspired by the film. James D'Agostino, better known as DJ Green Lantern, was especially moved. Green (as he prefers to be called) is a prolific producer as well as a DJ, has been the road DJ for Jay-Z, and for Eminem, and is currently the road DJ for Nas. He also has a show on Atlanta's often No. 1 rated V-103 (CBS Radio's WVEE 103.3 FM), which is also often ranked as the No. 1 urban station in the country. Green is from Rochester, New York. He grew up listening to a lot of Led Zeppelin, and a lot of hip-hop. "I can't say I'm a fan," says Green, "but I've definitely been exposed to Mr. Manilow, and can appreciate his hits, and the fact that he's a songwriter/musician/singer. I place those kind of artists on a pedestal, in the sense of creativity. And he's up there." Unlike DJ Skee, 9th Wonder, and others who did entire American Gangster remix projects, in '07 Green created an unofficial remix of just one track from Jay-Z's American Gangster. "This is right around the time when the Gangster a cappellas were released," Green says of Jay-Z's move — like with his 2003 The Black Album — to make his vocals available for people to work with. "I like to use things that say the same thing, but from a different source ... A continuity-type of thing." So Green electronically flipped through his dusty grooves, rooting around for a constancy in theme that would ring. "Jay-Z has a song called 'Sweet,'" he says, thinking back to the original, which was produced by Sean "Diddy" Combs, and Sean C. & LV. "And here's this Barry Manilow song, 'Sweet Life.'" The song was written by Manilow, and is on both his actual 1973 debut Barry Manilow (Bell) and the re-release of that album, as Barry Manilow I (Arista). Sweet Life is also the title of Manilow's 1987 autobiography. "I'm really a fan of the 'Mama/Can you hear me' part, and wanted to focus in on that," Green says. "That was the reason I'd kinda tucked [the song] in my sample folder. But I went back, and the 'I'm gonna have a sweet life' jumped out at me, like Oh that's it, that's the part. That's gonna work with that ... So sure enough there's a break in there, and all I had to do was separate it, and loop it, and add just a little bit ... I might've put a kick with it, and maybe a clap at the most." Green plays down his end result. The remix is a sound collage— interview snippet here, the odd Jay spoken moment there, all placed to emphasize rhyme, and swag, and bold bittersweetness, and almost-rhyme. Sweet! And still there's pain, Jay-Z says, No shame/ No sir. The two Brooklyn boys, Jay-Z and Barry Manilow are talking the eternal underdog struggle: the what-ifs, the I-ams, the thoughts of death and the desire for their own peaces. Manilow on piano comes careening through on Green's remix, four decades strong, like it was waiting to bear Jay-Z's lyrics, to be something else — yet a same thing. "It was sparse because I wanted the original sample to shine," says Green. "The piano, just the mood of it, the soulfulness of it." Mama, can you hear me. That's what Manilow sang. I'm gonna have the sweetest life you've ever seen. And when the day is over, I'm gonna go to sleep in a field of green. There's a smallish riot going on at the St. James Theater. It's Glow Stick City. Barry Manilow opens with 1975's "It's A Miracle." Never my favorite, it seems to be exactly where songs like Lionel Richie's 1985 "Dancin' on the Ceiling" were bred. The production for the show is low-key. The set is too dark, what lighting there is, is unimaginative and the back-up singer/dancers are both too much — and not enough. The question of backing tracks is easy to answer. Manilow speeds through "Could It Be Magic." There is a medley, and then a moment when he unbuttons his tux coat, and a lightweight pelvic thrust right on the beat. When he hurries through "Somewhere in the Night" I'm worried. "Looks Like We Made It" is too cabaret. The show itself is very cabaret. But except for when he performs some recent cover songs, I don't stop singing. My husband is astounded by the energy in the room. Confetti drops as the show ends. It's Valentine's Day. After all the all the years of not going, it looks like I've made it. And so had he. Manilow was coming off a recent flu, and a recent hip surgery. He is 69 years old. He's in the Songwriters Hall of Fame. He's sold maybe 80 million records. No show now is going to be one of his nights at the Greek Theater in 1978. And Manilow — he knows this. You can say a lot about him, but you cannot say he didn't live to tell the story. He's so aware of the fact that he's not the weird arty boy he was on Burt Sugarman's syndicated Midnight Special variety show, he shows clips from it on Broadway. And he plays piano along with the clips. The self he is now sings along — not like a synch, but heartbreakingly and strikingly, like a duo. His low-tech collaboration with his former self says that Manilow knows who he is, and who he is to us — and he thunders through it the best he can. That's rock and that's hip-hop and that's soul, and we make it pop, or not. "You all have been here all along," he said, acknowledging our part in it, and giving us our props for it. I was indeed waving my glow stick like a maniac, and it reminded me that the Wale song I'd been most excited to hear that night at Terminal 5 with the 18-and-overs was his 2009 "Beautiful Bliss" which features the rapper J. Cole, and the gorgeously melodramatic singer Melanie Fiona. The song is co-produced by DJ Green Lantern (with Mark Ronson), and it's one of the best rap songs of the last five years. If you're lucky, and negotiate your peaces, it all comes around. I'd told my mother I was going to see Manilow, and she was psyched for me. When you feel like this, Wale raps, a beautiful bliss. For a millisecond, on both nights, it was like I was 13 again. Danyel Smith (@danamo) is the former editor of Billboard and VIBE. She is writing a history of African-American women in pop music for It Books/HarperCollins. She also keeps a tumblr.